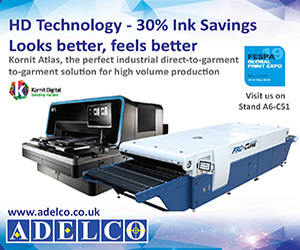 Within the growing market of direct-to-garment (DTG) prints, companies are constantly looking for new and innovative ways to make their print stand out from the crowd. 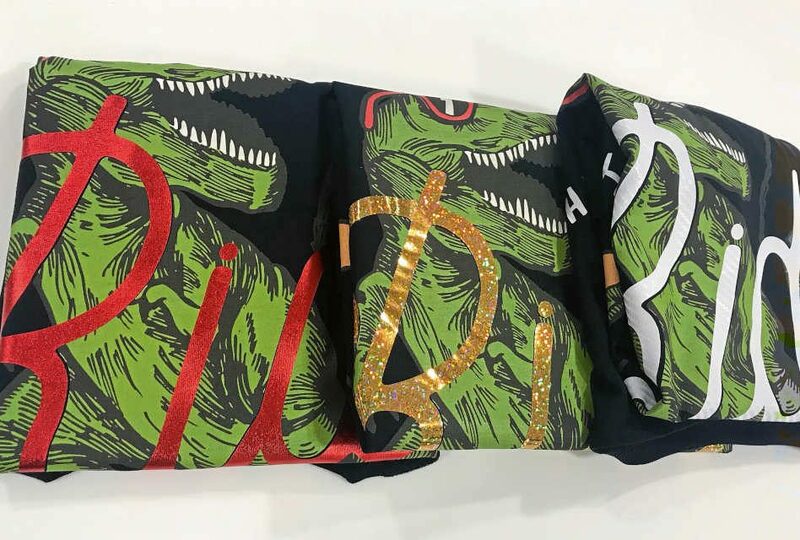 At Xpres, we have started to see some extremely interesting combinations of garments that feature both a DTG print and a textile transfer film. DTG is great for your full-colour, intricate designs, but how do you get some of the other effects? Metallic, reflective or maybe even a bit of sparkle? As DTG printers don’t feature an ink (or print heads) suitable for printing these effects, adding a film is a great option. 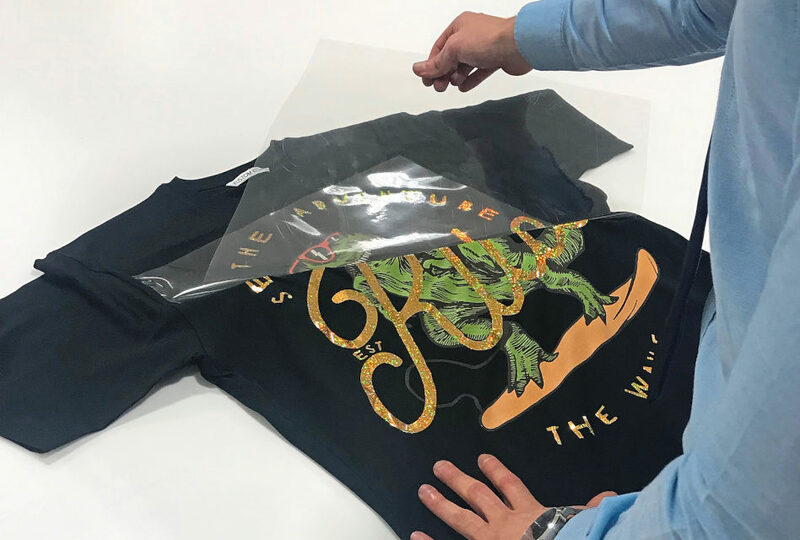 The process of combining DTG print with garment film is simple: the DTG process is performed as normal first then a transfer film is cut, weeded and heat pressed onto the garment following the times and temperatures recommended for that particular film. 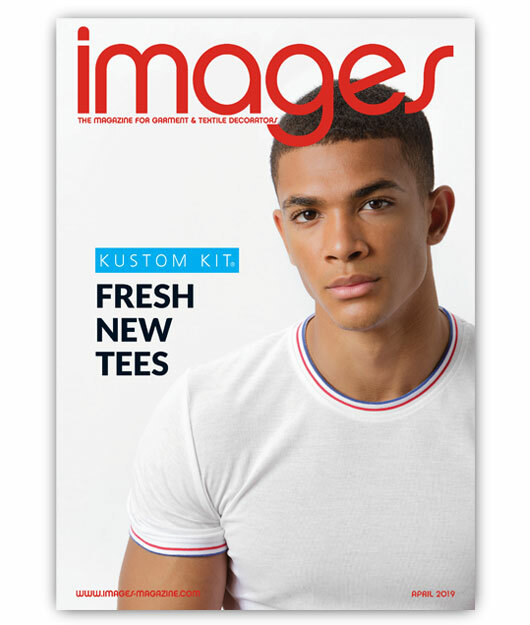 To create the designs here, we printed a DTG print on the Epson F2100 printer on the new, 100% cotton Kustom Kit Fashion Fit Tee (KK507) – as DTG ink bonds to cotton fabrics, it’s best to use garments with a content of at least 65% cotton. We then used a combination of our bestselling special effects films: Sparkle, Textile Foil and Carbon Fibre. The cost for each DTG print was £1.40, then the Sparkle vinyl cost was £2.30, the Textile Foil vinyl was £2.85 and the Carbon Fibre vinyl was £3.73. 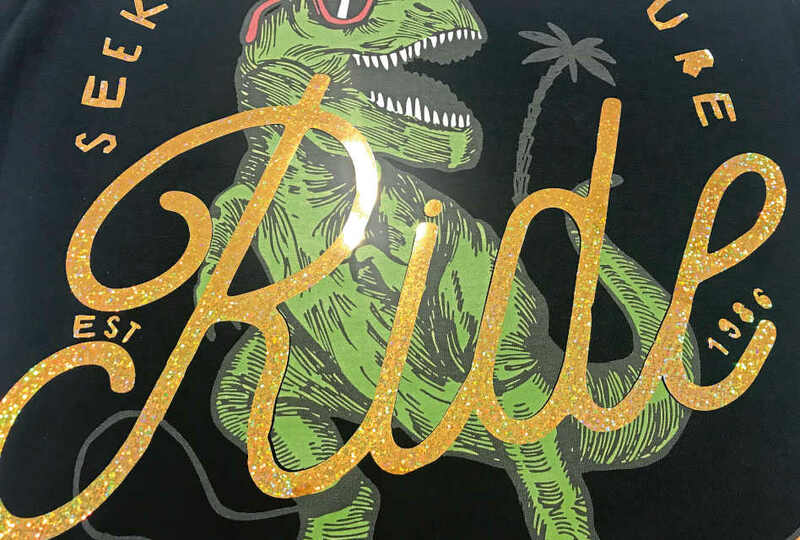 Being able to offer something unique such as mixed media designs is a great way to attract more customers and target specific markets and events – maybe some festive red glitter film for Santa’s jacket, carbon fibre film for a prestigious car dealership, glitter for a dance club or camouflage for army cadets. Our special effect films allow customers to create something truly bespoke for their clients. You can pitch these as a bespoke or premium option alongside a standard, full-colour print option. 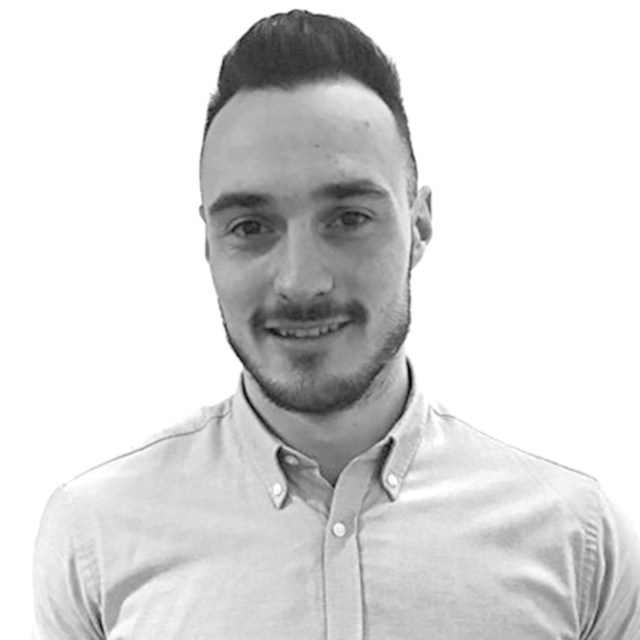 If, for example, the customer has a logo with text underneath, you could suggest a standard tee option along with a mixed media option where the logo is printed but special effect film is used on the text. 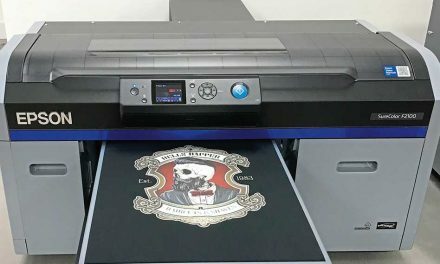 You want to make the most of having the DTG print solution for the intricate parts, but areas like text or simple shapes are nice and easy to do without taking up too much additional time. 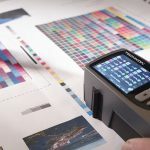 If your print looks washed out and faded, then check the level of pre-treatment being used and whether it has the correct ratio of pre-treat fluid to de-ionised water. Too much water will reduce the concentration of the solution and cause the white ink to not bond properly. If the problem isn’t with the pre-treatment step, then check the garment you’re using has a high cotton content: you’ll find polyester-rich or 50/50 garments will appear faded. 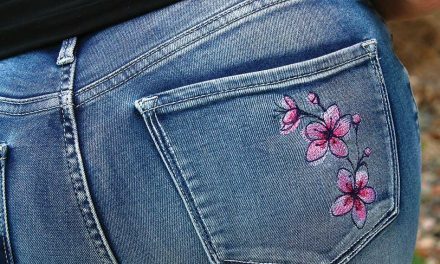 If a clear patch appears where the garment has been pre-treated then, again, you need to look at the pre- treatment step. Too much pre-treatment and/or at the wrong concentration will leave a clearly visible patch of pre-treatment on the garment. While this will wash out, to avoid it we recommend using a pre-treatment machine and working out the ideal pre-treat settings for different garments. Some machines, such as the Schulze Pretreatmaker, will allow you to save up to five pre-sets of carriage speed, pressure, size of treatment area etc. Fuzzy print? A common cause of these is if the print head is too far away from the surface of the garment. This prevents the ink particles from landing where they should and causes the fuzzy, faded prints. Another problem is when the white base shows through the coloured print. If you put too much white down, you’ll find the coloured ink is going back over the top of quite a loose and wet layer of ink, causing the print to ‘pool’ – this will usually lead to the inks merging and once you press the finished print you’ll see the white layer and coloured ink on top. On certain machines, like the Epson, you can edit the amount/density of the white base. Another helpful feature of the Epson is you can set a dry time for the white ink, so if you want to put a higher density of white down as your base, setting a dry time (i.e. delay) in between this and your colour ink being printed over it can really help. On the vinyl side, if you find the film is peeling owith the backing paper and not sticking properly to the garment, check first that you are following the correct instructions for that film. The majority of our special effect films are cold peel, so if you peel the backing off too quickly, the vinyl will pull up with it. 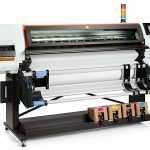 Another issue can be the heat press – if it’s not up to temperature then the adhesive won’t bond properly with the garment. If in doubt, use a temperature gun to measure the element and make sure it is matching the displayed temperature. Whenever you’re using vinyl, make sure you are using the correct blade and cutting force, otherwise you may find your cut lines aren’t deep enough. Some of the special effect films are much thicker than your normal vinyls and so require a sharper blade and a higher force. 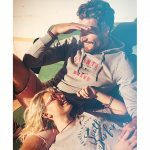 By combining DTG printing and garment films you can create stylish apparel that boasts individuality and has a wow factor. 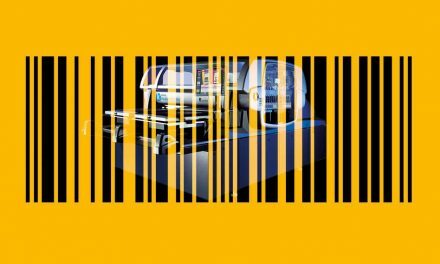 In this ever-competitive market, it’s essential to keep innovating, and combining print methods is a great way to do this.